Swedish band The Bongo Club are three years and nine songs into their career, and have played close to 300 shows in 18 countries. Their latest release, ‘What You Want Us To Be’, is taken from their debut album Anybody Have A Lighter? out earlier this year. We spoke to vocalist and guitar player Jesper about the band and their music. We would be that rowdy person at a party who is seeking everyone’s attention. What was the first style or genre of music you really got into? Was there a particular song or artist who inspired you? As a child, my father used to play me Oasis all the time. It wasn’t until years later I realized I knew the songs by heart. Oasis is still my go-to band, and they have inspired me a lot. The first song that got me into playing guitar however was American Idiot by Green Day. I remember watching the video on MTV and getting hooked instantly. How did the The Bongo Club come about? Did you expect to be following the musical path you are now? We all met in high school. We studied music together and me and Erik decided we wanted to become ”rock stars” so we picked the best musicians we could find and started what turned out to be the beginning of a long friendship. We would be that rowdy person at a party who is seeking everyone’s attention. To some we would come across as quite annoying but strangely they wouldn’t be able to help but feeling impressed. That’s us! What would you say makes The Bongo Club unique? We are just a great live act. We take no prisoners. I think that everybody who see us play live understand what we’re all about. I’d like to believe that our presence is what makes us unique. We write all songs together in the rehearsal space. We are four strong-willed persons who are all very passionate about what we do. So when the four of us decide on something, we are very confident that it’s good. What have you been listening to this year? Can you give us a top three records of 2018 so far? My personal top three this year is: 1.The Vaccines - Combat Sports, 2. Shame - Songs of Praise, 3. The Magic Gang - The Magic Gang. If you had to pick one act to see live this year, who would it be? I’ve been wanting to see Catfish and The Bottlemen for a while now. There has always been something stopping me though, even when I’ve had tickets. So they are gonna be my pick, even if I know something’s going to get in the way. It would be fantastically cool to see what Kanye would do with us… Scoop di woop anyone? How is the rest of 2018 shaping up for you? Where can we see you play? We’re doing some festival shows over the summer in Denmark, Germany, Latvia to mention a few. The first dates for our autumn tour have also been announced. To make sure not to miss anything I’d recommend a visit to our Facebook page. As a hard touring band, if you could pick any venue or festival to play, where would it be and which slot would you most enjoy? I hate to be a cliché but it has to be Glastonbury, and to be honest I would enjoy any slot we’d get. We’ve got our eyes on the headline slot though, of course. Watch the video for ‘What You Want Us To Be’ on YouTube below. 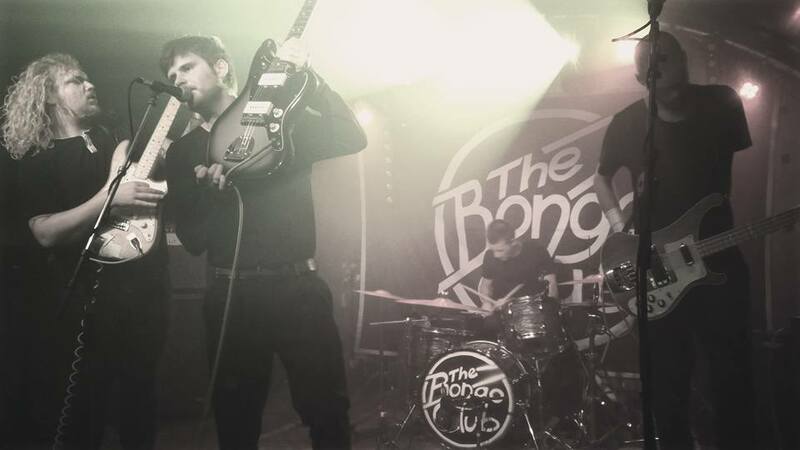 For news and tour dates go to The Bongo Club Facebook page.